We are delighted to have advised Metnor Group on their sale of a portfolio of student accommodation properties in Newcastle to one of Singapore’s largest private property developers, Far East Orchard Plc (FE Orchard), for £40.6m. The Killingworth-headquartered property developer acquired the brownfield site in Shieldfield, Newcastle, in 2006 and has transformed it into quality student apartments and retail units using a predominantly local workforce. Metnor has now been appointed to build the next phase of student accommodation on Portland Road, Newcastle, which will be ready for the 2017 academic year. 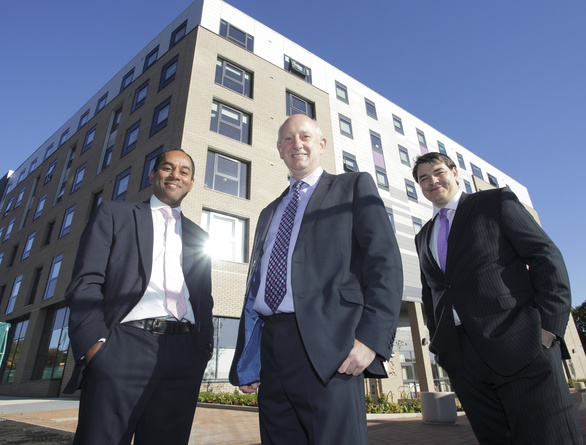 Metnor Group’s building division, Metnor Construction, completed the first of the four-phase build with a 274-bedroom luxury student accommodation building and two retail units in August 2013. Known as Turner Court, the development was fully let to students from both of the city’s universities, as well as students studying at Newcastle College, within days of opening. Tesco and Subway occupy the two retail units on the ground floor. The second phase, known as Rosedale Court, was completed in August 2015 and is a 338-bedroom accommodation building developed, along with 4,500 square foot of retail / commercial space. The building is being managed and operated by specialist student operator South Street Asset Management under its DIGS brand. Legal advice was led by our real estate partner, Will McKay, and supported by Kevin Maloney, a partner in our banking team who negotiated the financing of investment and development facilities with the Israeli owned Bank Leumi. The properties are located in Shieldfield, Newcastle and within walking distance of Northumbria and Newcastle Universities and Newcastle College. Will McKay said: “We’re delighted to have worked with Metnor Group once again. This was a challenging and complex project. We had to overcome many environmental factors during the development phase involving mineshafts and land contamination. Negotiation of the sale involved people across different countries and we are delighted to have helped secure such substantial inward investment. Turner Court and Rosedale Court add to the list of successful building contracts undertaken by Metnor Construction which has worked on some of the most high-profile buildings within Newcastle over the last few years. The company was responsible for building the Newcastle Falcons stadium at Kingston Park back in 2002, and in recent years, the Sleeperz Hotel development on Westgate Road, the Hotel du Vin development on Byker Road, redeveloping the Generator Studios building on Trafalgar Street, constructing the recently opened Hampton by Hilton opposite the Central Station and undertaking work on the walled garden visitors centre at Wynyard Hall. For more information on this development or our real estate work please contact Will McKay on 0191 211 7943 or email [email protected].